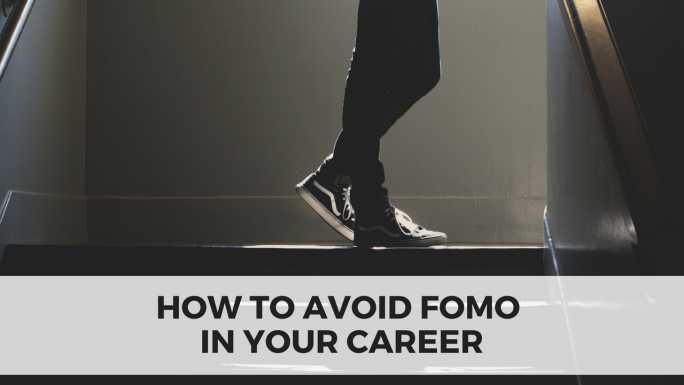 Whether you’re launching a business or climbing the corporate ladder, there are going to be many times in your career where you experience a fear of missing out. You see your colleagues joining various committees or work groups, others in your field are launching podcasts or YouTube channels, and your peers are constantly telling you to jump on the next hot bandwagon. And because you fear what would happen if you weren’t aboard, you jump on, even if it may not be the right move for your career. The fear of missing out is real, it’s powerful, and it often leads to poor decision making. It causes us to act in accordance with other people’s values, not our own. 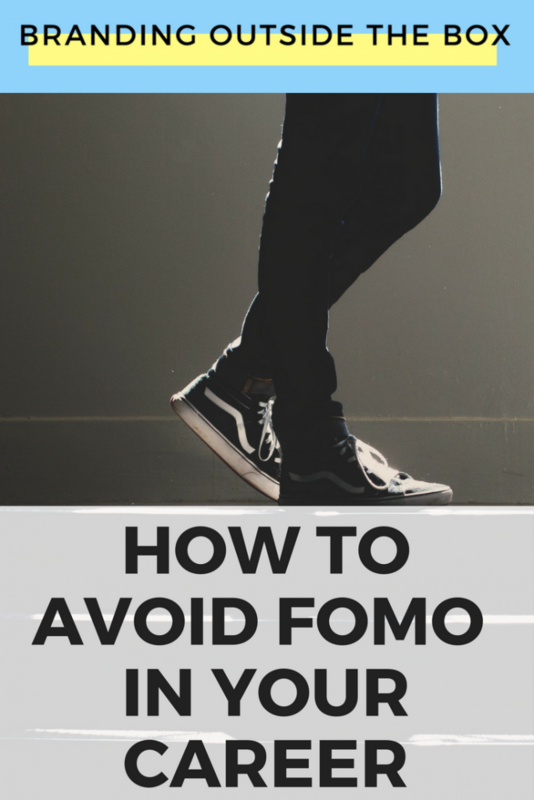 FOMO means we’re acting out of fear, not confidence. Part of establishing a personal brand is identifying your brand values. What qualities and characteristics do you and/or your company deem most important? For example, one of my brand values is to make meaningful connections. So while many of my peers are using ChatBots to automate their marketing and sales funnels, I’m not, because talking to a robot doesn’t qualify as a meaningful connection. By constantly asking whether or not the decision aligns with your brand values, you can ensure that you’re not making your decisions out of FOMO. If you don’t yet have clarity on those brand values, I recommend using the Personal Brand Worksheet or the full Personal Brand Workbook to identify and establish your personal brand. Not my monkeys; not my circus. Saying no to this will allow me to say yes to something even better. Their success is not my failure. These work for me, but others may work better for you. I recommend coming up with a handful of mantras to use when you feel a case of FOMO coming on. It wouldn’t reach my target audience. I wasn’t being compensated for my time. I’d rather spend that weekend with my family. If I said yes to this gig, I would have had to say no to something I value more. It wasn’t an event I wanted to be associated with. It seemed like more work than it was worth. Keep that list handy, and whenever you feel regret or begin second-guessing your decision, go back to the list and remind yourself why it serves your best interests to decline. When you’re working tirelessly to advance your career, it’s easy to get caught in the comparison trap and feel like you’d be missing out if you don’t involve yourself in every potential opportunity. But trying to do everything results in diluting your brand, burnout, and a whole lot of wheel-spinning. If you stay true to your brand values, use mantras, and clarify your decisions with lists, you can avoid the FOMO and stay on track.